Broadly defined, whiskey is any spirit with a minimum proof of 80% and made from fermented grain mash. The only exceptions are whiskeys made from corn. Whiskey as a group of spirits can then be further delineated based on the primary grain used for distillation. Cocktails can broadly be divided into light and dark. If gin represents the base spirit for the bulk of the light, the same can be said for rye and dark mixed drinks. Rye was the original North American whiskey, based solely on what was available for fermentation. When corn became the more common grain in the US, whiskey makers migrated to bourbon and things pretty stayed that way until the recent resurgence of rye. In Canada, however, rye remained popular, although more in name than composition. Over the decades, almost all Canadian whiskey distillers also moved away from rye as the main grain mash. True ryes (as I call them), containing spirit distilled from at least 51% rye, are becoming popular again in the US. Despite ‘rye’ being the whiskey of Canada, Alberta Premium and Alberta Springs are the only Canadian ryes made from more than 51% rye mash. 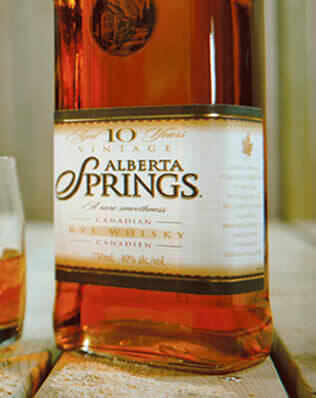 In fact, Alberta Premium is the only rye in the world made from 100% rye. Straight ryes are those that have been aged at least two years. There are many, many more knowledgeable whiskey experts than myself, but I feel very strongly that American ryes are far better suited to cocktail mixing than the Canadian variety, which may contain only trace amounts of rye. They are smoother, assimilate flavour better and play nicer with other ingredients. I’m sorry to say but I can’t remember the last time I used a Canadian ‘rye’ other than Alberta Springs to make a mixed drink. It is probably the complete lack of defined regulations that makes the Canadian products so variable. There are just much better options out there, even at the LCBO. Alberta Premium is not nearly as smooth and should really never be chosen over Alberta Springs. The LCBO also now regularly stocks Rittenhouse and from time to time features other American ryes such as the amazing Sazerac, High West, Knob Creek, Jacob’s, Woodford Reserve, Bulleit, George Dickel and Wild Turkey. I pretty much purchase any of the American ryes that become available as their flavour profiles are so different and interesting. A drink made with Rittenhouse, for example, is totally different than the same made with Sazerac. My all-time favourite go-to dark cocktail is the Old Fashioned. Depending on my mood, I choose a different rye each time I mix it. Check out the recipes section for how to make the perfect and proper Old Fashioned. Bourbon is an incredible whiskey. Smokey but not overpowering, smooth but not wimpy, this corn-based spirit is essential stock in any home bar. To be called bourbon, it must be made from at least 51% corn mash, be made in the United States and be aged in charred oak barrels. Straight bourbon, as with rye, must be aged a minimum of two years. 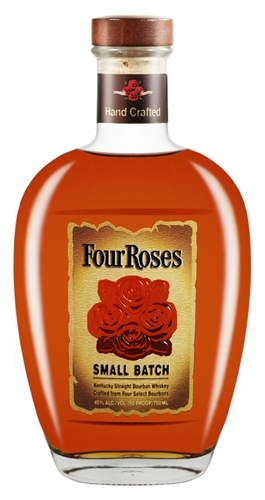 I have lots of bourbons, but use Four Roses and Old Forester for mixing, both of which are available at the LCBO. Bulleit, Wild Turkey, Maker’s Mark and Knob Creek would all be just as good choices. I would avoid Jim Beam, however, as your mixing bourbon, as I’ve always found it very harsh. All are regular stock at the LCBO. The holy grail of the whiskey world, so to speak and no offence to Scotland, is to own a bottle of Van Winkel bourbon. People literally line up around the block to fork over hundreds and hundreds, if not thousands on a single bottle when they are released. I’ve never even tried it but have heard rave reviews. One day. 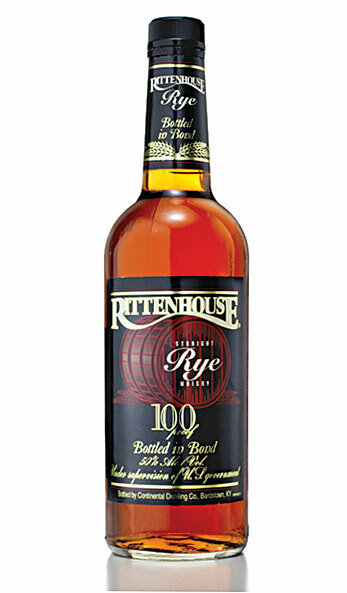 One word of advice, rye is almost always a better whiskey choice in a cocktail than bourbon, with obvious exceptions. There are probably lots of people who would disagree or call me an idiot but I’ve made a million drinks and had even more made for me at good bars and rye is chosen far more often in whiskey cocktails. Apparently Jack Daniels has forced a new subclass into the mix by stating their bourbon whiskies are uniquely charcoal-filtered and made entirely in the state of Tennessee. That said, Tennessee whiskey doesn’t mix as well as rye or bourbon and is therefore only rarely used to mix drinks. I think the George Dickel product is better than anything from Jack Daniels. George Dickel also makes a product from 95% rye mash that is now available at the LCBO. Get it while you can. With its powerful smokiness and hardy peat profile, scotch can be a real bully in a cocktail. More and more mixed drinks seem to call for scotch as the base spirit, however, and I seem to be stocking more of it than ever before. For a whiskey to be called Scotch, it must be made from malted barley, be aged for a minimum of three years in charred oak casks and be made entirely in Scotland. 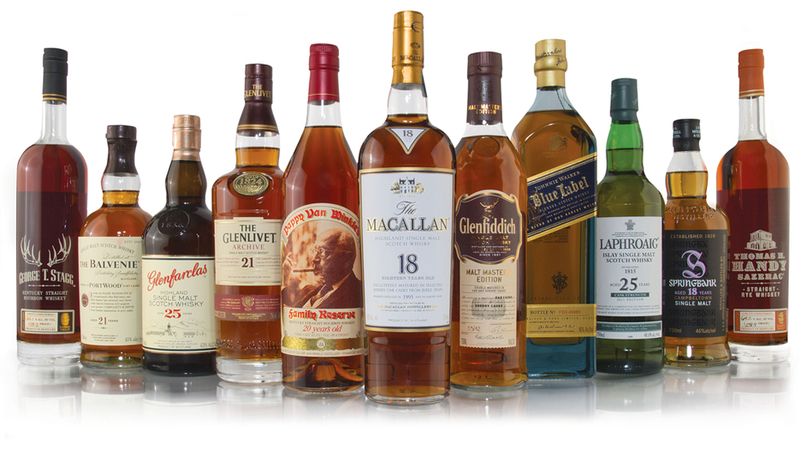 Like bourbon, you can generally reserve the expensive single malts for drinking straight. The blended Famous Grouse is pretty much the standard mixing scotch the world over and is what I stock and use. When single malts are called for, I try to stick to a peaty Laphroaig, which is usually the point in those recipes. 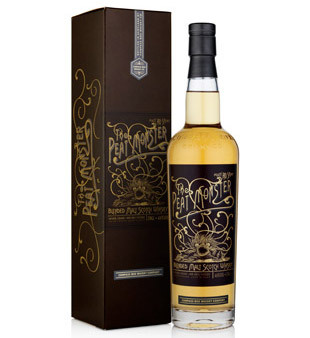 Compass Box out of Scotland has been blending some incredible products of late, and I more and more am using their Peat Monster and Great King Street in lieu of regular scotch. Most are available at the LCBO and totally worth the extra expense. Ireland, where many feel whiskey was invented, exports two main whiskies to North America, Jameson if you’re Catholic and Bushmills if you’re of the Prostetant persuasion. Not being religious, I stock Bushmills in recipes that call for Irish whiskey, mostly because the PDT cocktail book told me to do it and because I find it lighter. Apparently, according to Jeffrey Morganthaler, the religious division is mostly an Irish-American phenomenon, and does not exist in Ireland itself. Redbreast, another Irish product, is often considered the best Irish whisky, and one of the best blended whiskies in the world. Irish whiskies have regulations very similar to those of Scotch, other than the obvious fact that the whiskey must be produced in Ireland or Northern Ireland. I know next to nothing about Japanese whiskey, other than since 2000, the Suntory and Nikka products have been thumping Scottish products in blind tastings. The PDT periodically calls for Japanese whiskey. I bought a bottle of Yamazaki Single Malt when I was in Tokyo but have not really had the time to get into it. Thanks to Sean Lind’s www.realmendrinkwhiskey.com for help on differentiating the different types of whiskey.